Paint your nails with a matte white color or any other color that you like. 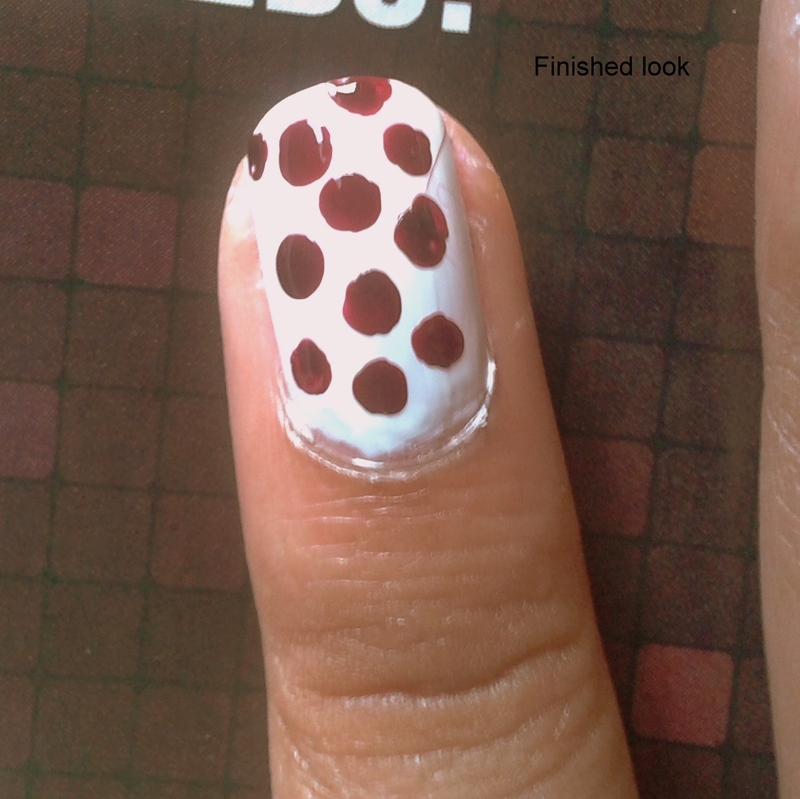 Take out the other color (from which you want to make polka dots) on a paper, take out enough quantity. Now take a blunt pencil. 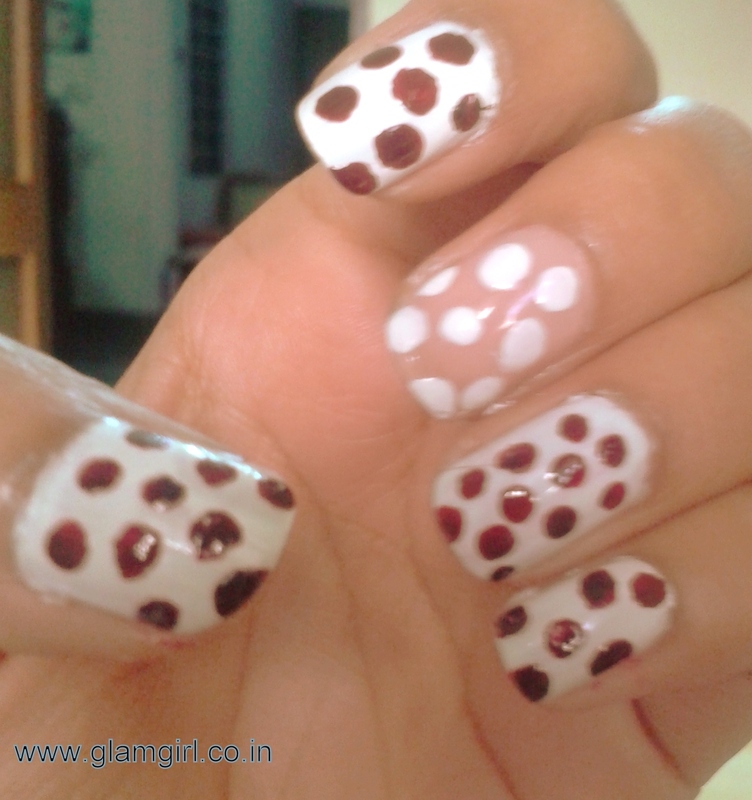 I am not taking a sharp pencil coz that will hold less color and can also make scratches on the base nail color and you’ll spend hours in making perfect polka dots. Dip the pencil in color and now you are using it as a dotting tool. Make polka dots or any shape that you like. You don’t have to use a brush. Cleaning the brush is the worst part…I don’t like that. 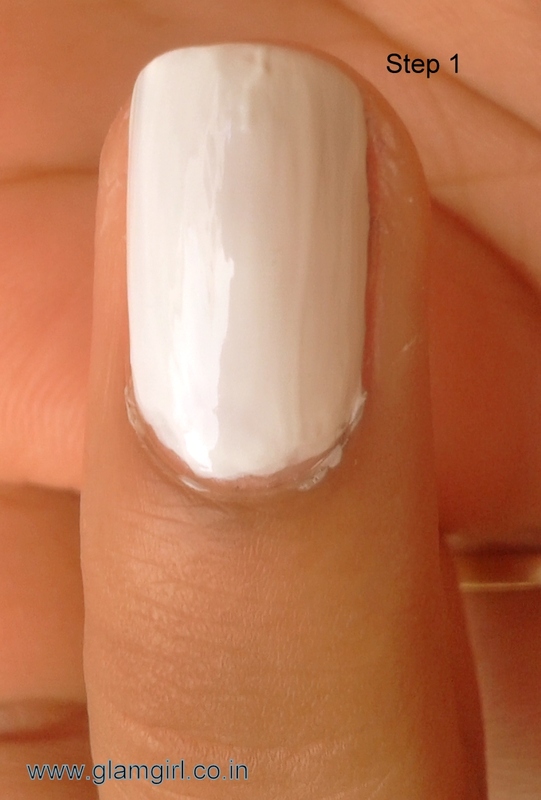 When it dries finish with the top coat. 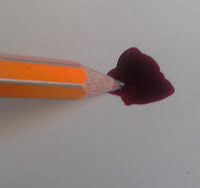 Isn’t it interesting using pencil for nail art? Well I really had fun doing this, hope you also enjoy it.